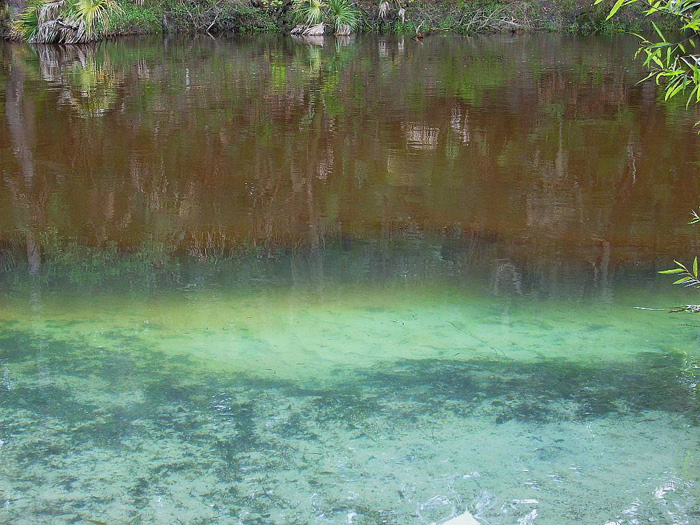 Lithia springs, east of Tampa, Florida, dumps its clear, 72°F water into the 83° turbidity of the Alafia River. This separation continues a couple hundred yards to a bend, where the two blend and flow to the Gulf of Mexico. See the previous post for Steve Meador’s bio.